Application Fee: Rs. 100/- (Rs. 20/- for SC/ST/PWD/EXSM Candidates) pay by the Challans available Bank’s Website. 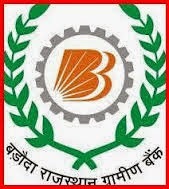 How to Apply: Eligible and interested candidates should go through detail notification and apply ONLINE through official website of BRKGB www.brkgb.com on or before 19th August 2014.